We are accepting resumes for Manger or Sr. Tax Managers looking to join a firm that would provide them with a track to partnership. The candidate will advise, oversee, and review transactions for both the sell and buy sides of newly created investment funds, tiered partnership structures, private equity funds, S corporations, REITs, and corporations with High Net Worth enterprise values. Office is located in Phoenix, Arizona. Bachelor' s degree in Accounting and a CPA license. Must have exposure to a wide range of industries with experience in tax planning, consulting, research, and compliance review for our individual, corporate, and partnership clients. 5+ years of progressive tax experience in public accounting including a minimum of 5 years in tax management. Roy is the recruiting director, owner, and co-founder of HotFoot Recruiters. 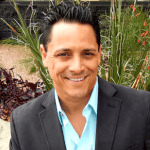 With almost 10 years of experience in the recruiting industry, he quickly established himself as a knowledgeable and trusted recruiter within the Arizona market. He approaches each day as a challenge to get quality people in the careers they deserve. Expectations are never unclear in his management approach. Roy’s ability to facilitate the focus of each day’s recruiting efforts ensures that his team is on task and accomplishing our client’s goals. Over the years Roy has attained a large network of professional talent, allowing him to provide unmatchable solutions for our clients. Experience and a proactive approach to each day make Roy a huge asset to the success of HotFoot Recruiters.